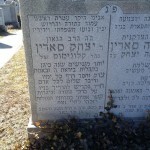 His son Reb Yakov Sodden was a SIL of Rabbi Dov Ber Appelman (https://kevarim.com/rabbi-dov-ber-appleman/) and was a Rabbi in Van Cortland. I’m actually not sure about the relationship between them I might be mistaking. Rabbi Soddin became a Rabbi before he married, and he already published his Sefer at age 21 http://hebrewbooks.org/36359. Rabbi Shapiro was niftar last week. 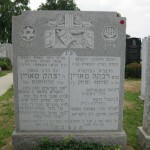 Rabbi and Rebbetzin Sodden z”l are the parents of Rebbetzin Mildred Shapiro, wife of Rabbi Solomon B. Shapiro z”l. 1. Shapiro does not have a “c” in it. There is an article about Rabbi S.B. Shapiro in the weekend edition of the Hamodia printed on Wednesday 1/12 in the “D section”. 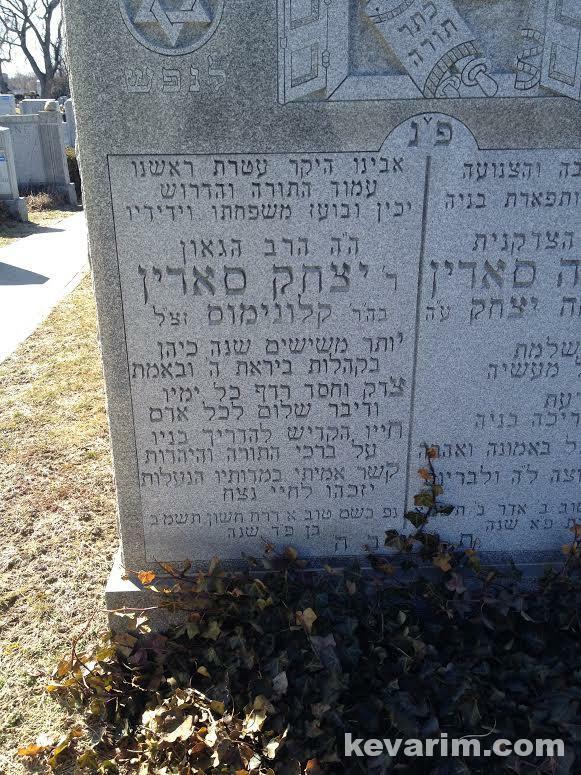 Rav Yitzchok Sodden ZT”L was only rav in Worcester, Massachusetts for a very short time he served in rabbanus for over 5o years and was a famed baal darshan hundreds of people would come to hear his drashos. 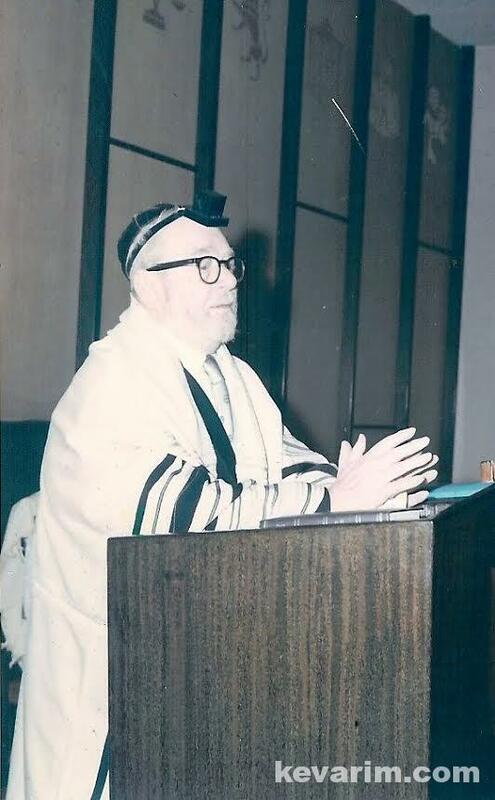 He was rav in a number of Kehilos in Brooklyn but for the longest periods at Oheiv Shalom in Greenpoint where he served for 25 years and in his later years he served as rav of Bais Shalom on Alabama Ave in East New York for about 20 years. 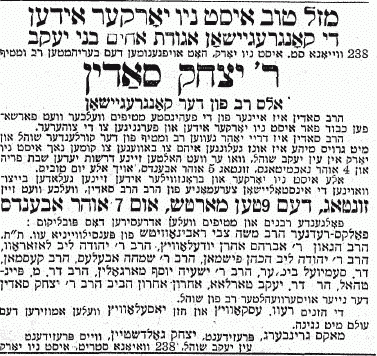 He published a shtar mechiras chometz in 1928 which is still used by many rabbanim today. 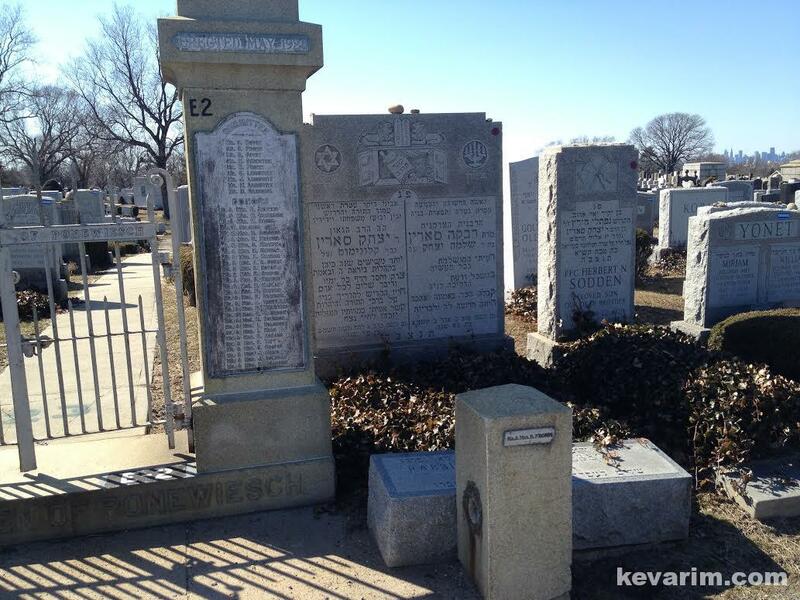 He was born and raised in Ponovezh, Lita and was a talmid of R. Itzile Ponevizher ZT”L. He came over as a bachur and was a close talmid and received shimush from R. Avraham Aharon Yudelevitz ZT”L. He accepted his first position in rabbanus before he was married. 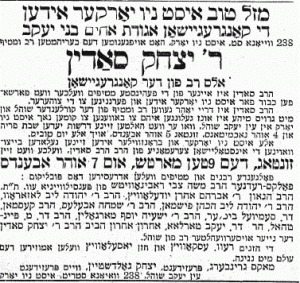 His Rebbiten was Rivka daughter of R. Shloima Yitzchok Lieberberg originally of Chechanov, Poland. 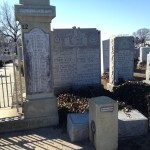 Rav Sodden ZT”L was recognized as one of the greatest rabbanim in pre-war America. 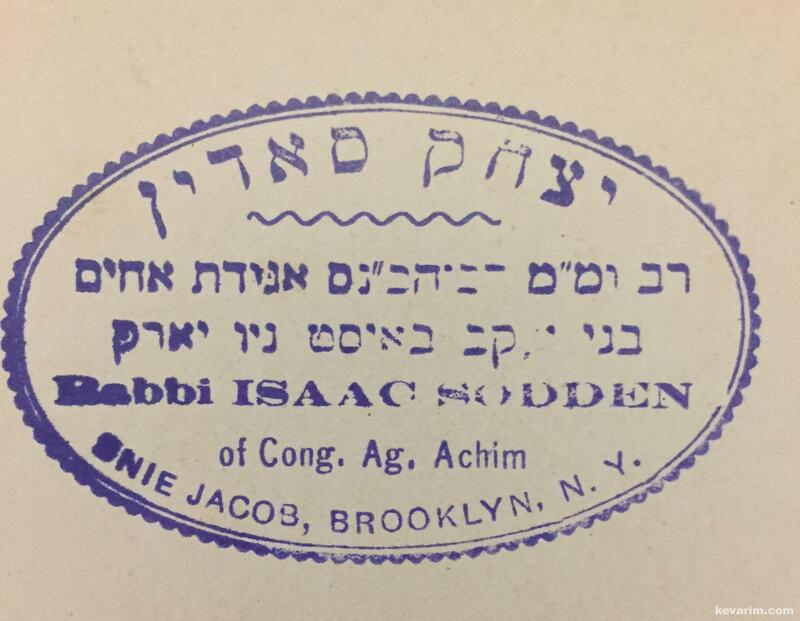 Rabbi Sodden was my Father’s Samuel’s brother. He was a man of such depth and true goodness and graciousness. He Family was an example for the World to follow. We were very close cousins and We visited often and they, Family Weddings and other occasions. Our Family thinks of Him and His Family often. 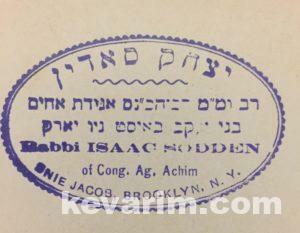 I would like to know if Rabbi Sodden lived on Pennsylvania Ave in Brooklyn and if he has a sister, I believe Syliva? If so, he officiated at my mother, Miriam Faust’s funeral in 1972. Please let me know if this is he??? 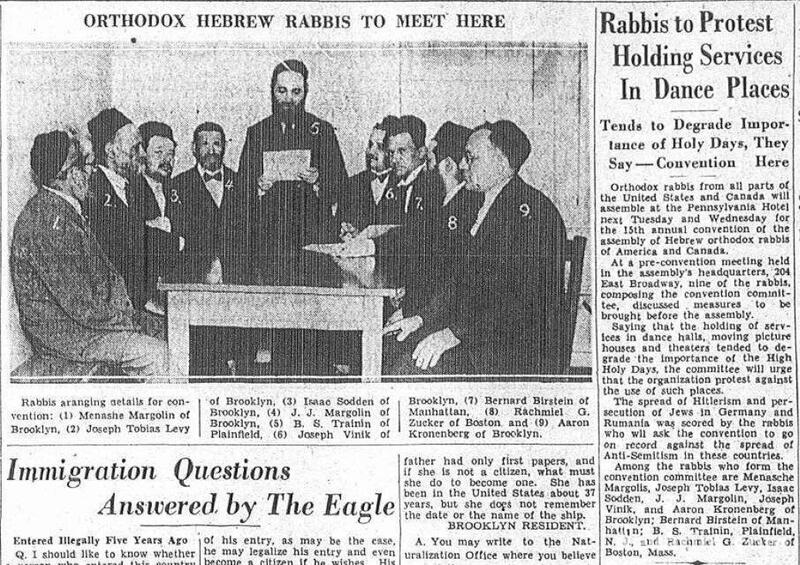 My grandfather Rabbi Sodden did live on Pennsylvania Avenue in East New York, Brooklyn from about 1950-1970 and had a daughter Shulamis (Sylvia). 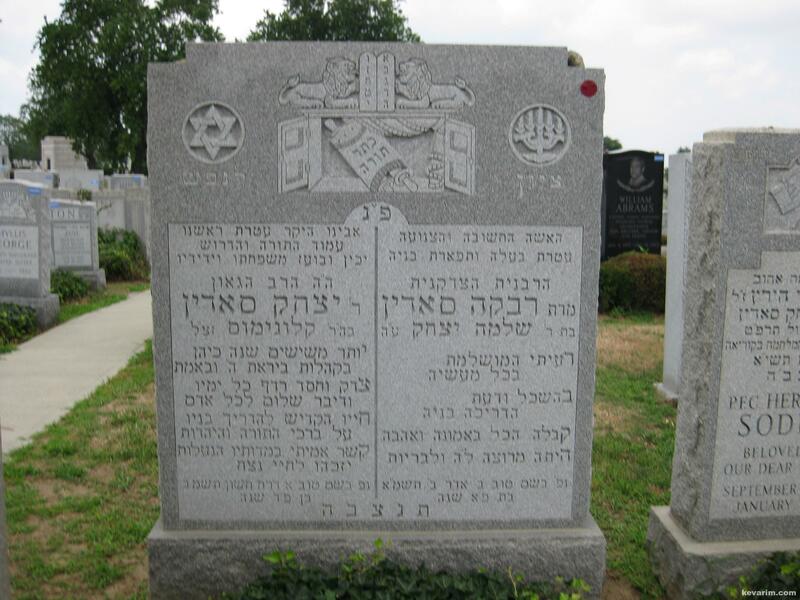 You may be thinking of his son my uncle Rabbi Yaakov Sodden of Van Cortland Park Jewish Center who passed away in 2007 and is buried in Mount Hebron Cemetery in Queens.